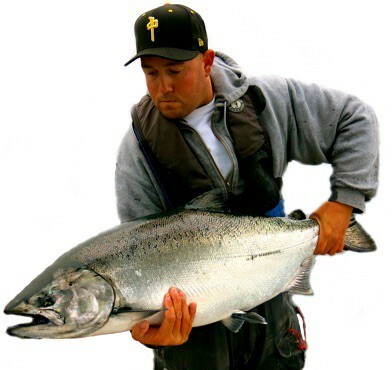 Chromer has the coast covered with the best BC salmon fishing trips. Take the guesswork out of your next salmon fishing trip to British Columbia with our lineup top lodges and guides. 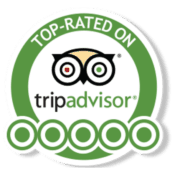 We offer full service booking with prime dates and the best pricing out there. Come experience the rugged beautiful British Columbia coast and the best salmon fishing in the world! There’s no lack of BC salmon fishing lodges looking for you business, and if you’ve been shopping around you’ve probably a ton of options online. Well, we’re here to bring you the best BC salmon fishing packages and lodges, with our hand-picking listing of only the best lodges on BC’s coast. You can look through our exclusive salmon fishing lodge listings below and find a BC salmon fishing package that suits your budget and needs. 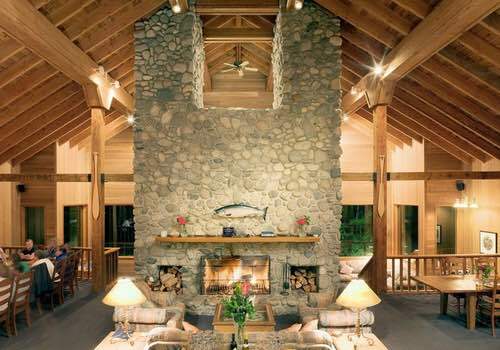 Langara Island Lodge has long been known as one of the top BC salmon fishing lodges. 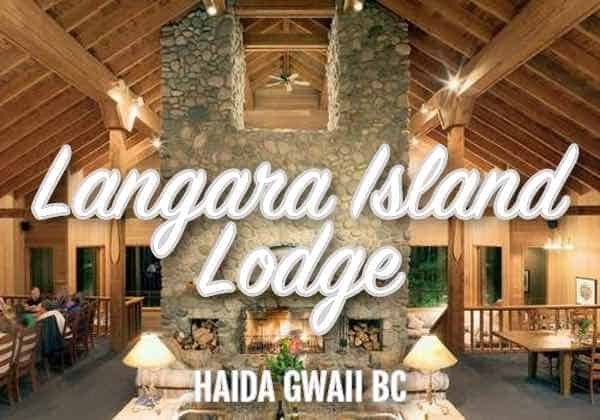 Langara packages run from May to September and are all-inclusive, including flights and helicopter transfer from Vancouver. Enjoy either a four or five day package, filled with excellent fishing, luxury accommodations and the ultimate in service and dining. 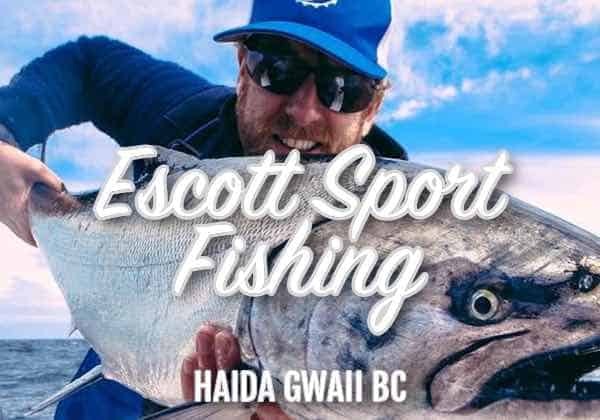 Located in Masset on Haida Gwaii, Escott Sport Fishing is a small and intimate lodge offering salmon & halibut fishing packages at affordable pricing. This is one of our most popular BC salmon fishing packages and is all-inclusive, including flights from Vancouver, guided fishing, meals and accommodations at their waterfront lodge. 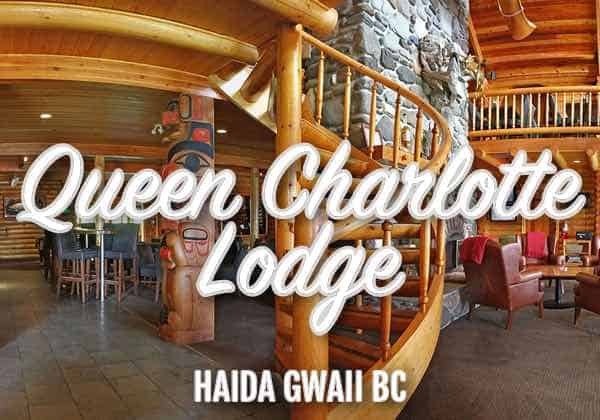 Queen Charlotte Lodge is located on BC’s Haida Gwaii islands. 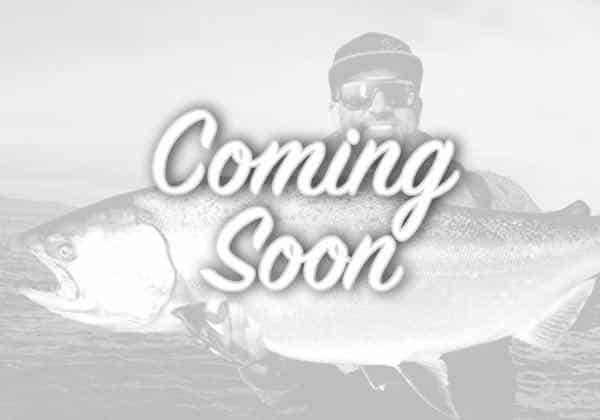 This is a remote are offering some of the best salmon fishing found anywhere in the world. QCL salmon fishing packages are all-inclusive, including flights and helicopter transfer to the lodge. Choose from a guided or self-guided package with lots of options to fit all budgets. 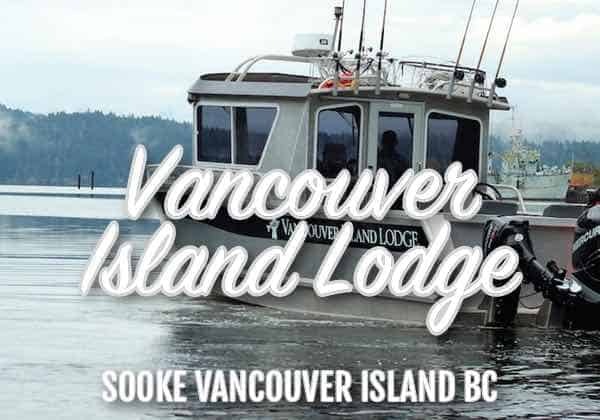 Vancouver Island Lodge is located on southern Vancouver Island and offers anglers nearly year-round salmon fishing packages. The lodge is small, accommodating only nine angler per week, making it an excellent option for small corporate groups looking for a quick getaway. Packages are all-inclusive with fishing, accommodations and meals. We’re working on getting a few more BC salmon fishing lodges listed. By Summer 2018 we’ll have a bunch of new hand-picked listings. Right now we’re just in the vetting processes, making sure our new lodge listings cover all the proper criteria so we can get clients like you into the best possible BC salmon fishing packages, thank you. If you’re looking for a guided salmon fishing charter in BC or maybe a charter & hotel package then we have a variety of partnered charters throughout British Columbia. 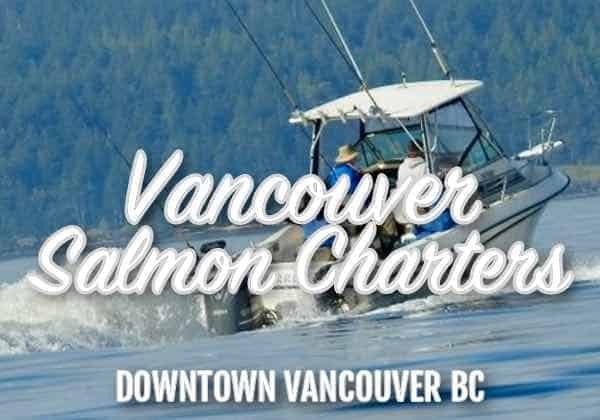 Have a look at our BC salmon fishing charter listings below and if you have any questions feel free to drop us a line and we can get you pointed in the right direction so you get into the perfect salmon fishing trip here in British Columbia! The most convenient BC salmon fishing charters are right in Vancouver BC. These are really good trips, with a 365 day a year salmon fishery within 10-40 minutes from the downtown moorage. Fish with Vancouver’s most experiment salmon fishing guides and choose from a day charter or a Vancouver salmon fishing package with hotel. 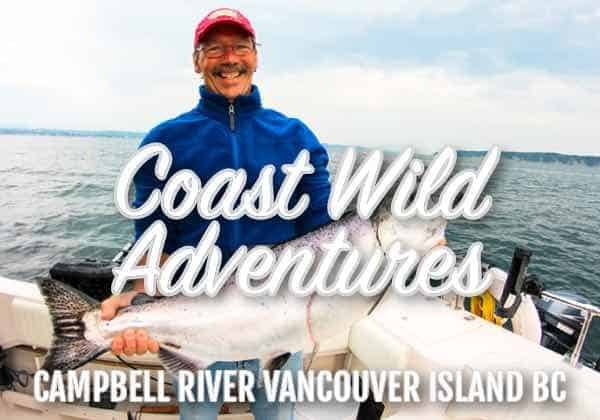 Located in Campbell River, on Vancouver Island’s central west coast is Coastal Wild Adventures, a full service salmon fishing charter departing right from Campbell River. 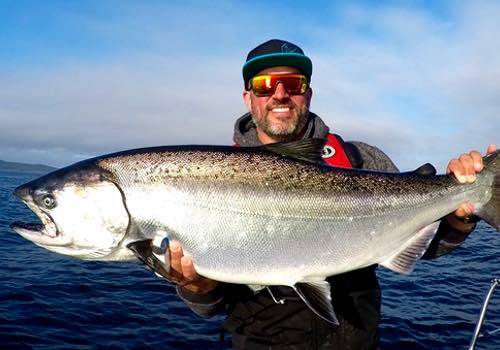 Fish with pro guide Curtis Smith and enjoy the long salmon fishing season that Campbell River offers. Day charters and Cambpell River fishing packages. 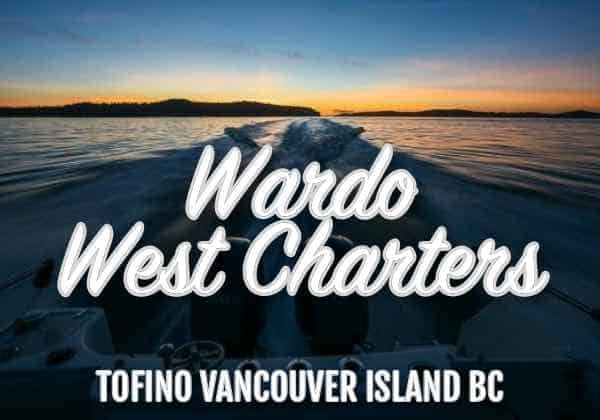 Tofino BC is a mecca for salmon and halibut fishing and we’re pleased to have partnered with Wardo West Sport Fishing to bring you the top Tofino fishing charters. Fish with pro guide Dave Ward and his crew. Choose from a day trip Tofino fishing charter or one of Wardo West’s easy to enjoy Tofino fishing packages with hotel. 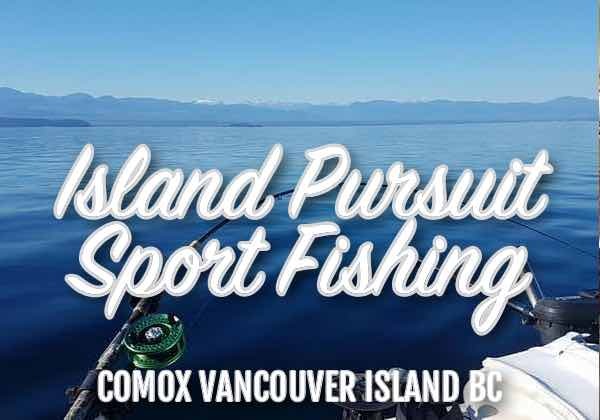 Conveniently located on southern Vancouver Island, Island Pursuit Sport Fishing offers year-round salmon fishing in Comox, British Columbia. You’ll fish with pro guide Steve Veloso and enjoy the calm waters and consistent salmon fishing that the Comox area offers. Steve offers both full-day and half-day Comox salmon fishing charters. Port Hardy is a popular salmon and halibut fishing location on northern Vancouver Island. 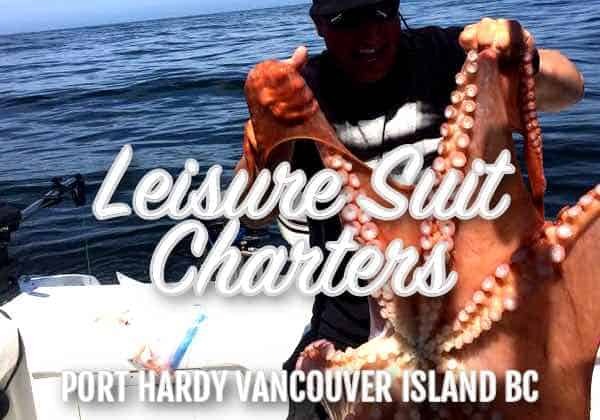 Leisure Suit Charters offers guided Port Hardy salmon fishing charters and packages from late Spring to early Fall each year. 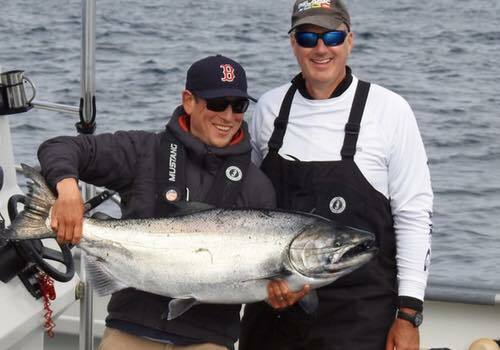 Fish with pro guide Larry Weber and enjoy world-class BC salmon fishing at pricing that’s easy on the budget. Getting started planning a BC salmon fishing trip is easy, simply fill out our online contact form or call our office toll-free 1-877-902-3393. We’ll get back to you right away with seasonal availability and specific pricing. We look forward to earning your business, thank you.